I’ve never needed to meditate more in my life than I do right now. I had, to put it mildly, “The Summer From Hell.” So many bad things happened, but a lot of stress and misery I’ve experienced has been due to fracturing my spine during a HIIT class. I feel betrayed by my own body. To make matters worse, this injury has caused my already present anxiety to go though the roof. In addition to being physically painful, fracturing my spine has seriously limited my fitness routine and exercise is one thing that helps my anxiety. It’s vicious cycle of frustration. I needed to do something, so I committed to a month of daily meditation. While I’m not too sure if a person can be a good or bad mediator, I know my mediations feel more meaningful when done with a group. I really focus, often transcend and always leave better than when I came in. I went to five very different group meditations during this period. One meditation that really sticks out in my mind took place at The Den, which is a studio that offers themed group meditations including Break The Norms, Akashic Sound Meditation and Crystal. 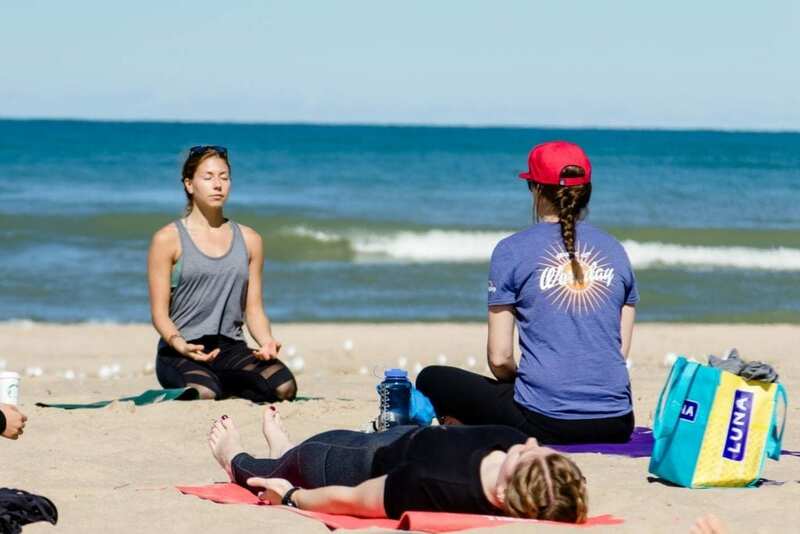 While this sounds very “woo woo,” to anyone living outside California—rest assured, meditation studios and classes are very much the norm here. The class I went to was called Psychic and the meditation focused on tapping into your own intuition and manifestation. It was so helpful that I even manifested two big things I really wanted. Here lies the problem. Going to group mediations isn’t practical for my life, but meditating at home sounds like torture to me. Doing the very thing that would relieve my anxiety, gives me massive anxiety. While 20 or 30 minutes in a group is easy for me, anything more than a few minutes at home feels like a monumental task. In the middle of all of this, I learned that Dr. Stephen Dansiger was going to be giving his final dharma talk at Against The Stream. If his name sounds familiar—it’s because he has been a guest on Marc Maron’s podcast many times. Before becoming a therapist, he was a kind of a rock star. He struggled with depression and even lived in a Zen monastery for a year. Dr. Dansiger is endlessly fascinating. This isn’t an exaggeration, but I could listen to him speak for hours at a time. His meditation was far less guided than I anticipated, which I ended up liking. But I needed more. So I spoke to him outside of class about how to establish a practice at home. Dr. Dansiger also shared that he even has challenges and often “gets in a staring contest” with the meditation cushions in his bedroom and office. “It’s totally normal to have it be a challenge,” he explained. Once you start, Dr. Dansiger says that we become more curious and end up meditating for longer periods. Which is exactly what happened to me. This morning I woke up and listened to one of my favorite meditations—a very old podcast from Gabrielle Bernstein that is six minutes long. And while I had so many thoughts running through my head, I finally stopped judging them. I went back to the breath and started again. And I’m pretty sure I’ll do the same thing tomorrow.